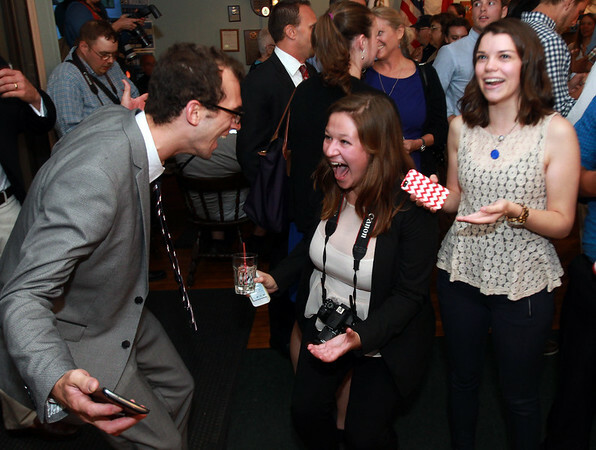 Paul Bologna, Page Allen, and Alissa Heller, supporters of Democratic nominee Seth Moulton, excitedly scream in celebration after incumbent Congressman John Tierney conceded to Moulton on Tuesday evening in the Primary Election. DAVID LE/Staff photo. 9/9/14.